Just like you wouldn't want to buy a home without the help of an agent, you wouldn't want to sell your home on your own either. 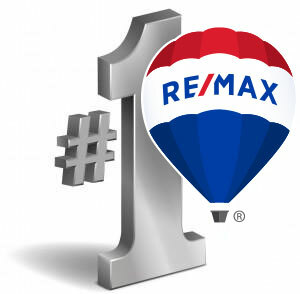 When you contact RE/MAX Quality Service Inc., you put yourself in contact with people who have the resources and experience to help you sell your home in a timely manner and at a fair market value. The market value of your home is effected by a variety of factors. First, the area where you live can determine whether a 1,000 square foot home goes for $100,000 or $200,000. The condition of the home can also impact what others will pay for it as home buyers don't always want to do more than put on a coat of paint or make other minor changes after they move in. Finally, the market itself may determine how much you get for your house. In a good market, you may get more because there are more people clamoring to buy your home. When this happens, a bidding war can ensue as buyers try to gain the upper hand by offering more money. Conversely, you can expect to get less in a down market as buyers realize that they can wait until they get the deal that they want. Your agent can help you determine a fair listing price by giving you access to recent home sales in your area to get an idea for what a home similar to yours is worth on the open market. Once you have a good idea as to how much your home is worth, you should consider other aspects of what you are looking for in a purchase offer. For instance, are you willing to offer seller concessions or leave appliances in the home to sweeten your deal and make it more likely to sell the home? Will you allow those who haven't been preapproved for financing to make an offer on the home? Knowing what the ideal offer looks like makes it easier to market to your preferred buyer and to decide ahead of time which offer you would like to accept if you get more than one. While there is no right way to sell a home, there are things that you could do to make it more difficult to accomplish that goal. For instance, failing to disclose a problem that you knew about in advance or failing to add curb appeal to your property could make it less appealing to a buyer. Pricing your home too far above or too far below market value could give a potential buyer pause and cause him or her to not make an offer or look more at the house. Pricing below market value could raise questions as to whether or not the home is in good condition or whether there is something wrong with it to make it worth so little. Pricing the home too far above market value makes it hard for a buyer to get a good value for his or her money. Remember, your goal is to sell the house within days if possible. Once the home has been on the market for more than a few days or if the price is slashed for any reason, it could cause issues with how the home is perceived. Your agent can help you avoid these issues as well as provide you with other seller resources that will make selling your home a more straightforward experience. Working with a quality agent from a place such as RE/MAX Quality Service Inc. can make it possible to sell your home on your timetable and while following all regulations. By selling your home quickly and for what it is worth, you have the money needed to put a down payment on your next home or a security deposit on your next apartment.